How do you see the SPX closing on Wednesday (2/6)? Poll closed Feb 6, 2019. Congrats to @rStock the Stockaholics Daily Stock Pick Winner for (2/5)! On to the next! 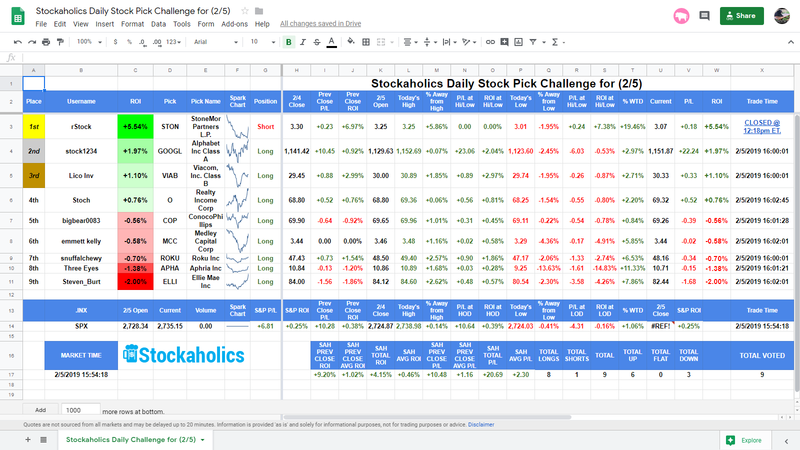 The Stockaholics Daily Stock Picking Challenge for (2/6) starts at the opening bell on Wednesday, February 6th, 2019. Remember...the challenge starts at the opening bell on Wednesday, February 6th! How does Stockaholics think the S&P500 will close 2/6? Stockaholics wins the daily poll tally on Tuesday! Credit goes to the UP votes! Congratulations to today's daily stock pick winner and 10th time winner of the daily stock pick challenge in 2019 (3rd time winner in February!) -- @rStock! Some worthy mentions also go out to our 2nd place winner -- @stock1234 and 3rd place winner -- @Lico Inv! Longest active daily stock picking challenge winning streak belongs to @rStock with 3 straight 1st place finishes. 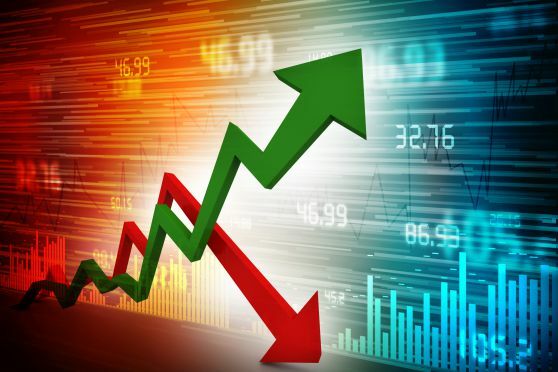 Best overall daily stock picking challenge winning percentage leader this year belongs to @rStock and @Lico Inv at 50.00% winning percentage in 2019. Most 1st place finishes in 2019 belongs to @rStock with 10 first place finishes in 2019 thus far. Most 1st place finishes this month belongs to @rStock with 3 first places finishes this month thus far. Longest active daily poll winning streak belongs to @stock1234 with 6 straight correct daily market calls. 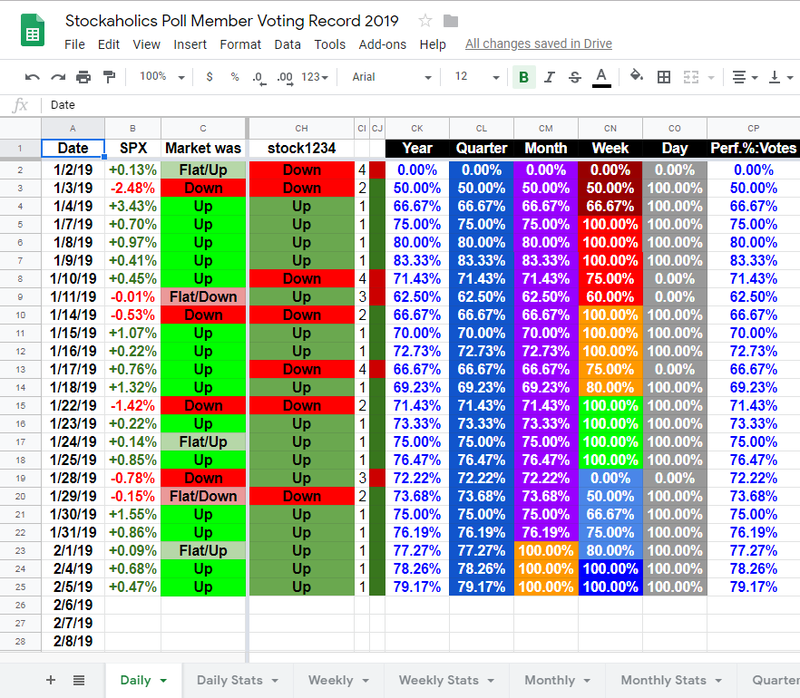 Best overall daily poll percentage leader in 2019 belongs to @stock1234 at 79.17% daily poll voting accuracy this year. 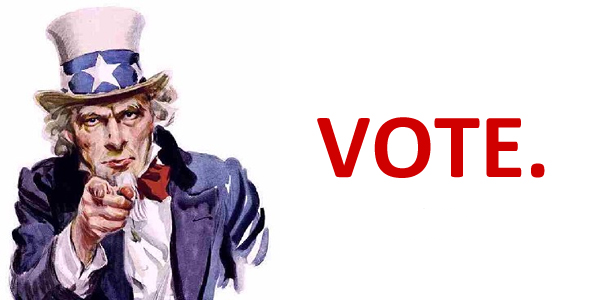 Please post your Vote on this thread and make sure to also click in your Vote on the poll at the top as well by 4AM eastern time on Wednesday! Lico Inv, Three Eyes and stock1234 like this. Meanwhile, I would be remiss not to mention this in here as well...but @rStock is on a TEAR on the daily picks! For the exception of 4 trading days, @rStock has won 1st place in each of the daily comps since Jan. 22nd. Amazing! Lico Inv, Three Eyes, stock1234 and 1 other person like this. and remember we almost had to beg him to participate. unleashed a lion. bigbear0083 and emmett kelly like this. @rStock save some wins for us too up there.